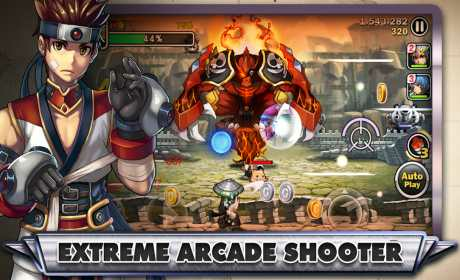 Unleash maximum firepower in this over-the-top, anime-inspired arcade shooter! A spin-off from the turbulent events in action-MMORPG Soul Guardians, the Kraken Pirates are up to no good and it is up to you, Captain, to contain these plundering evil-doers. 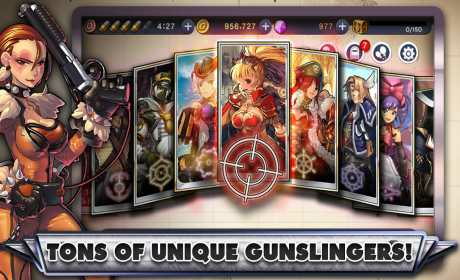 The Continent of Mu and the rest of Midgard needs your superior marksmanship abilities to save the world. Same awesome Soul Guardians characters, same wacky world, new frenetic gameplay! A classic arcade shooter visually polished and streamlined for the palms of your hands. **ENDLESS SHOOTING** with dynamic dual thumb controls. Avoid enemy fire while simultaneously honing in on your targets. **COLLECT** upgrade and evolve, strengthening your Captains, each wielding their own unique firepower. **ASSEMBLE ** the ultimate hero squad and build your team load out with rapid fire attackers and heavy damage specialists to fight and swap out through multiple waves of enemies and bosses. **GAME MODES GALORE**—- Clear timed attack stages, poison modes, hostage situations and more, plus, what’s a game without zombies? Be prepared for the undead in zombie shooting mayhem! **YOU AGAINST THE WORLD**—- How will your team fair within the World Rankings? Eliminate the pirates from Midgard NOW as a free game download on Android phone and tablet devices! 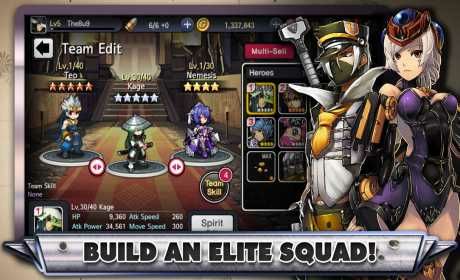 **This free game download is compatible with devices with Android version 4.0 and above. By playing this free-to-play Captain Heroes game download, you are agreeing to our terms and services: www.zqgame.com/term.php.